I rather enjoyed my rest—including my extended rest from blogging—and got rather a lot done. A new year sparks new resolutions, however, and one of mine is to start blogging again. To start the new year, let’s go backwards in time! 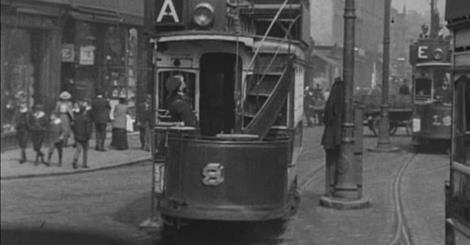 The BFI has a wonderful, 113-year-old film travelling some of the old tramlines of Sheffield. Every now and then, I experienced a flash of recognition of streets I’ve gone down hundreds of times in this, my adopted city, here looking rather different.